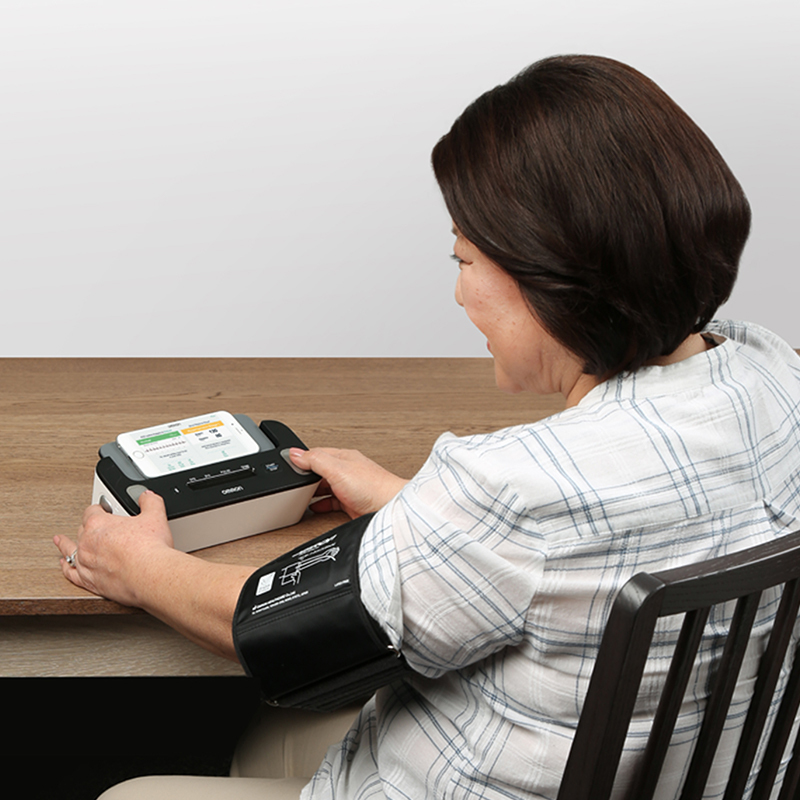 A clinically validated blood pressure monitor with built-in EKG technology for easy, at-home blood pressure and EKG monitoring. Get a more complete picture of your heart health with Complete™, a combined blood pressure + EKG monitor for easy at-home measurements. Having the ability to measure both of these risk factors for stroke in one device allows those living with AFib a simple way to keep track of their condition and know when to seek treatment. Simple and easy to use, Complete was developed with AliveCor, the market leader in FDA-cleared personal EKG technology, and uses an advanced new algorithm for improved detection of AFib. Complete wirelessly connects via Bluetooth to our proprietary Omron Connect mobile app, which allows you to track and share unlimited readings and results with family or healthcare providers. Your BP7900 Blood Pressure Monitor + EKG, excluding the arm cuff and batteries, are warranted to be free from defects in materials and workmanship appearing within five years from the date of purchase, when used in accordance with the instructions provided with the monitor. The arm cuff is warranted to be free from defects in materials and workmanship appearing within 1 year from the date of purchase when the monitor is used in accordance with the instructions provided with the monitor. The above warranty extends only to the original retail purchaser. We will, at our option, replace without charge any monitor or arm cuff covered by the above warranty. Replacement is our only responsibility and your only remedy under the above warranty. 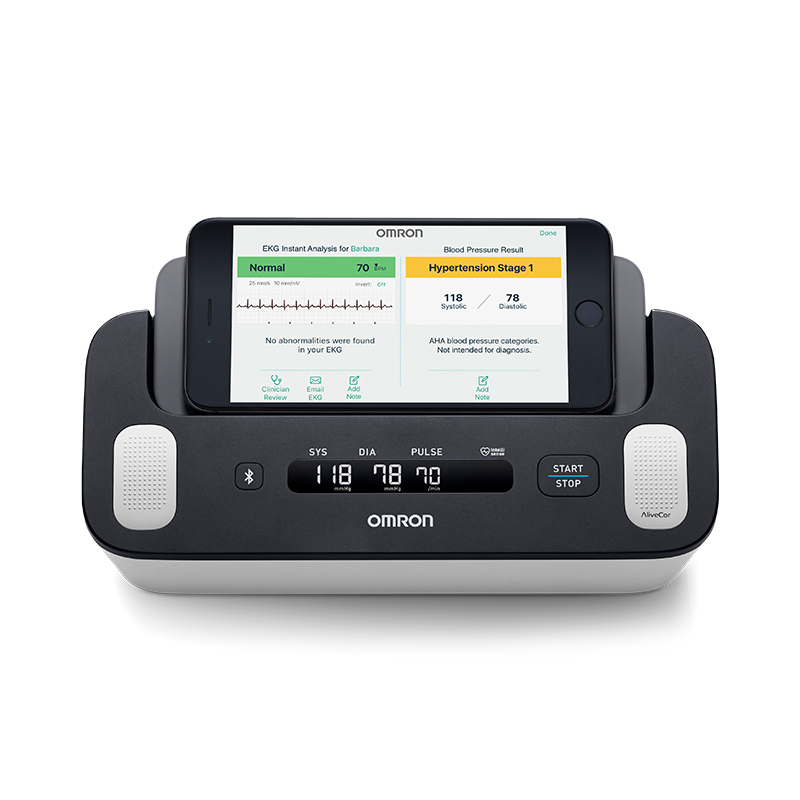 The Omron Connect app works with Complete to help you and your doctor have a more complete picture of your heart health. Blood pressure and EKG readings can be stored, tracked and shared with your doctor to gain more insights and improve treatment over time. According to the Centers for Disease Control, there may be as many as six million Americans living with AFib today, and it could double over the next two decades1. Furthermore, AFib comes with a stroke risk five times higher than average. 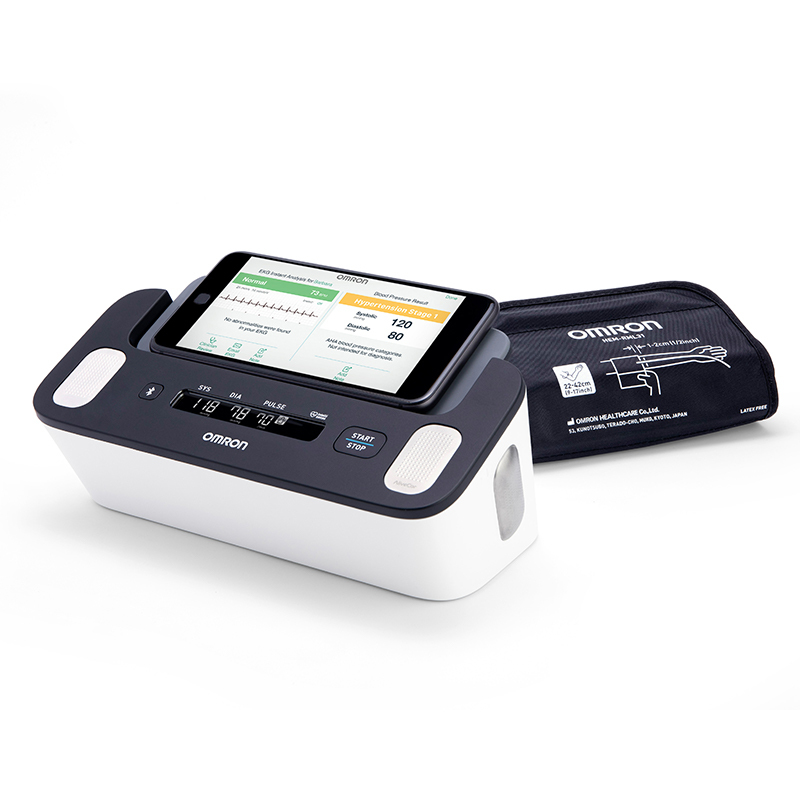 Complete, from Omron, is our first blood pressure monitor with EKG capability in a single device for home use in the U.S. It is a breakthrough tool for those managing AFib and the risks that come with it. Reference: 1. January CT, Wann LS, Alpert JS, Calkins H, Cigarroa JE, Cleveland JC Jr, et al. 2014 AHA/ACC/HRS guideline for the management of patients with atrial fibrillation. Journal of the American College of Cardiology. 2014;64(21):2246–80.